Fantastic villa with expansive southern mountain views! Situated on the 5th Fairway of the Hideaway with lots of privacy and unobstructed vistas!Highly upgraded with gorgeous travertine floors , designer paint, and beautiful built ins. 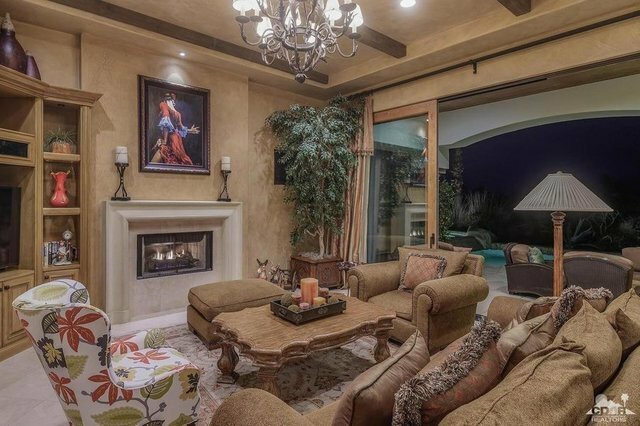 The large great room offers an entertainment center , fireplace and bar. The gourmet kitchen has top of the line appliances with a Wolf , Sub Zero and Boesch. Gorgeous slab granite counter tops with full back splash. Pocket door open for seamless indoor outdoor living. The large master bedroom suite has beautiful views and a spa like bath! Two additional bedroom suites including a detached casita. The resort style backyard has a covered patio and a pebble tech swimming pool and spa and a built in BBQ with a bar. This home is offered designer turnkey furnished with all electronics. Buyer must purchase seller's golf membership.